A recap of the tournament, and some plans for the future. 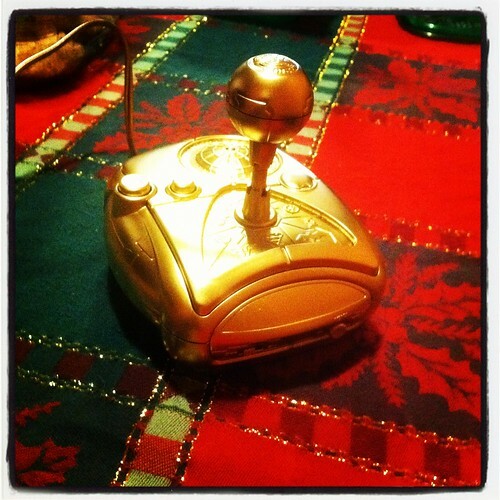 We came, we fought, and ultimately Brian completed a triumphant reclaiming of the Golden Joystick. Jared took and early lead with the first two games, and then Brian trounced Jared in Windjammers to the point where viewers were donating money to end the slaughter. Pinball isn’t the most specatator friendly sport, however, it did create a lot of drama. Jared mounted an impressive score before it was Brian’s turn. Brian then had a fantastic run nearly doubling Jared’s score. At this point, it was tied and only one game remained: Tekken. Tekken was over pretty quickly as Brian’s skills were too much for Jared’s novice ability. 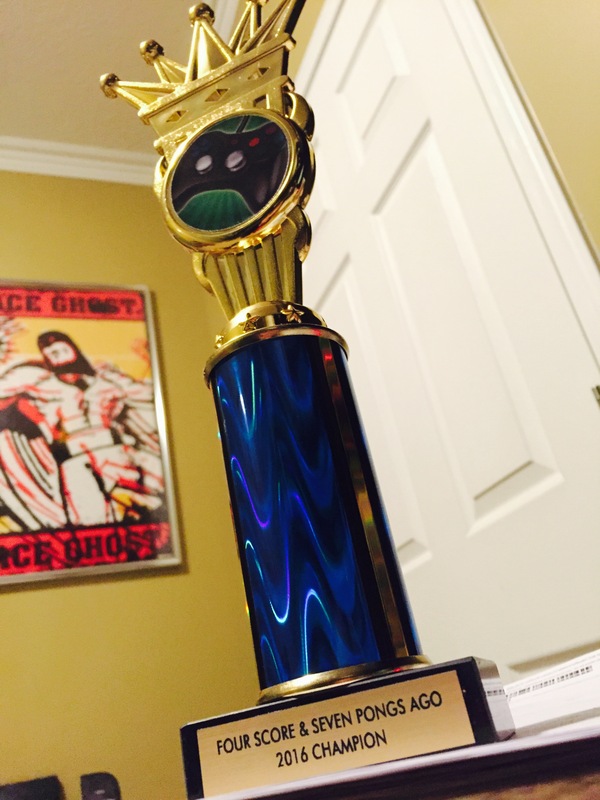 After that Brian had once again reclaimed the trophy he held many years ago. We were able to accomplish a fantastic goal with your help. We met our fundraising goal of $1,000 dollars for Child’s Play. This is something we are eternally grateful for. Thank you so much. We are currently formulating some future plans for more events that will be more inclusive for everyone to join. Additionally you should bookmark and follow us on Twitch and YouTube. We will have more regular streaming and video content soon. We are also working on some video highlights of the tournament in case you missed it. 2016 has commenced with a wonderous beginning. 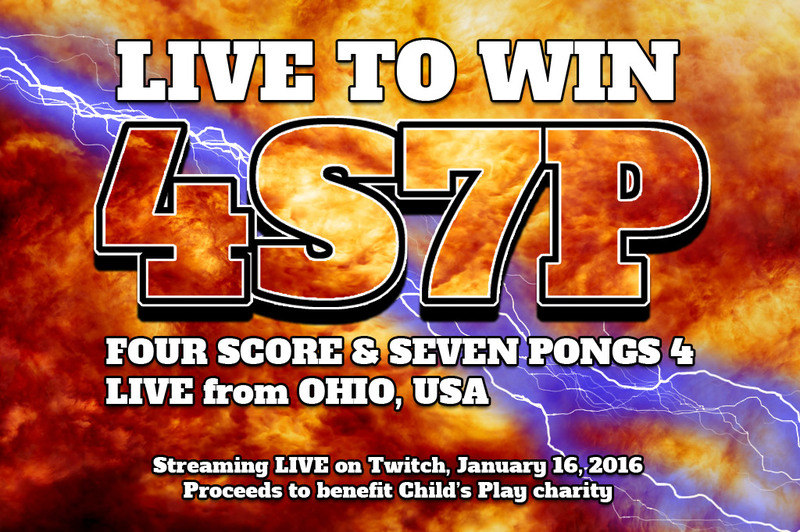 We are planning to continue with that momentum and make this a great year for gaming and charity. If you didn’t get a chance to donate, you still can! Author jarbochovPosted on January 16, 2016 January 15, 2019 Categories 4score7pongs2016Tags 4score7pongs, charity, score, teamjarbo, teamtoast, WE'LL DO IT LIVELeave a comment on We’re LIVE! TUNE IN! 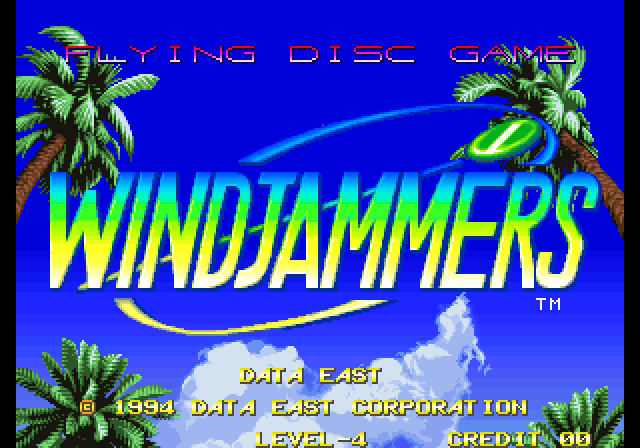 The third game for the 4S7P day-long battle is a head-to-head arcade classic, Windjammers. I first discovered Windjammers in my early days of emulators. I never saw or played Windjammers in the arcades but I probably would have overlooked it since it didn’t have guns, spaceships or robots. Although, being a NeoGeo game is definitely a check in the right column. The characters in Windjammers are along the lines of those you might find in any random pre-2000 volleyball game. Each has their own balance of speed and power, and each come from a different country. While I’ve played Windjammers quite a bit, I’ve never played against another human so going head-to-head with Jared should prove a worthy test. Prior to now, he had never played it at all, so I have a slight advantage but playing the AI is rarely good practice for a human opponent. I expect Windjammers to be fast, furious play with some very close matches. I don’t think it has the spectator excitement of Nidhogg but should be far from boring.